With amenities to impress both tourists and business clients alike, Hotel Lalit International is one of the premier and most famous economy hotels in Mangalore. 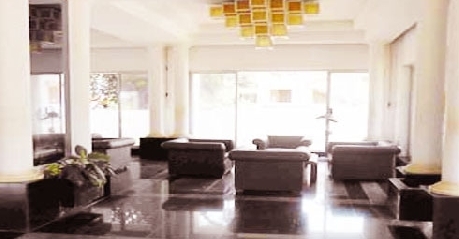 Located on the Bajpe airport road, it makes an easy and good choice of the holidaying tourists and the business people for their stay, having comfortable rooms and conference halls for each of their purposes. All the guests are welcomed, treated with high and same level of enthusiasm and value. The interesting range of facilities at Hotel Lalit International in Mangalore include a lush-green garden, swimming pool, beauty salons for men and women, respectively, lounge, laundry, health club and meeting hall, safe deposit box, etc. A currency exchange counter is available for foreign tourists to ease out their money exchange needs. The Travel desk and car rental services offered by the hotel makes your trip easier, keeping you away from the hassles of choosing a place, booking a cab etc. The important travel destinations include Sultan battery, Shri Savory Mahaganapathi temple, Light House Hill-Garden, Kadri ManjunathTemple, St. Aloysius church and Seemanthi Bai Government museum apart from the exotic beaches around this port city. 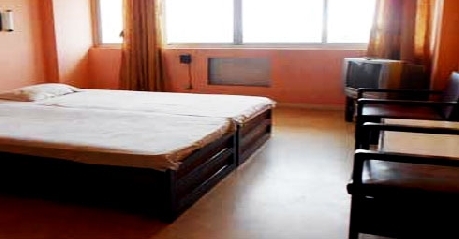 The room are air conditioned make your stay luxurious, cozy and super comfortable. Each room is more than big enough to accommodate 3 adults and 2 kids. Hotel Lalit International in Managlore serves the best of Karantaka special dishes with mouth-watering taste. Its range of authentic Karnataka foods is famous with its guests. It actually has a multi-cuisine restaurant that also offers Chinese and Continental culinary delicacies. Room services for dining in the comfort of your room are also provided by capable and experienced staff.